ATLANTA, June 26, 2018 /PRNewswire/ — Carvel®, the makers of America’s #1 selling Ice Cream Cake, is thrilled to announce the debut of its newest product, Ice Cream Crunchie Cakes, available now in select grocery stores. Devoted fans are enamored with the brand’s mouthwatering ice cream and iconic chocolate crunchies. 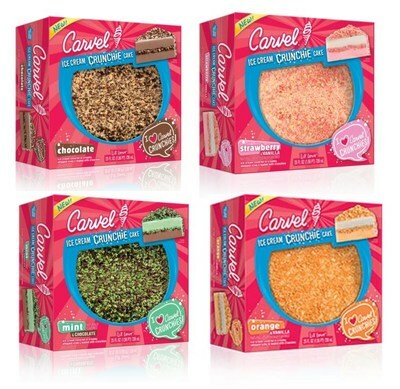 Now, Carvel® lovers are in for a real treat, as their local grocery stores will have their favorite cakes covered with crunchies and bursting with fun flavors.